The Peekapoo is not a purebred dog. It is a designer cross between a Pekingese and a Miniature or Toy Poodle. Like it’s Pekingese parent, it can be friendly and affectionate, and like it’s Poodle parent, it’s intelligent and hypoallergenic. Easy to train, hypoallergenic and all the charm of the chinese national dog (i.e. Pekingese) it’s easy to see why a Pekepoo is one of the oldest designer mixed breeds dating back to the 1950s. With a lifespan of between 13 to 15 years this mixed breed can grow upto 20lbs and as they are a hybrid, Peekapoo dogs can vary greatly in appearance, but they tend to have a soft, wavy coat in a range of colours! In this article we will explore the origins of this pooch, their traits, behaviors and temperament, and how we care for them. Activity Level Energetic but will also happily curl up on your knee as a lapdog! 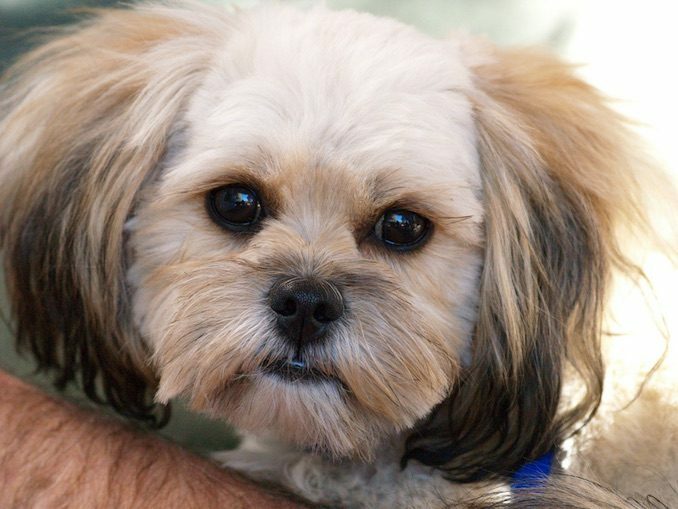 This adorable Pekingese Poodle Mix has become a perfect companion dog, known for being ideal with allergy sufferers. A first generation Pekepoo is a crossbreed between a miniature or toy poodle and Pekingese; either can be the sire or dam. This breed is not mixed with a Standard Poodle; this is a common misconception. 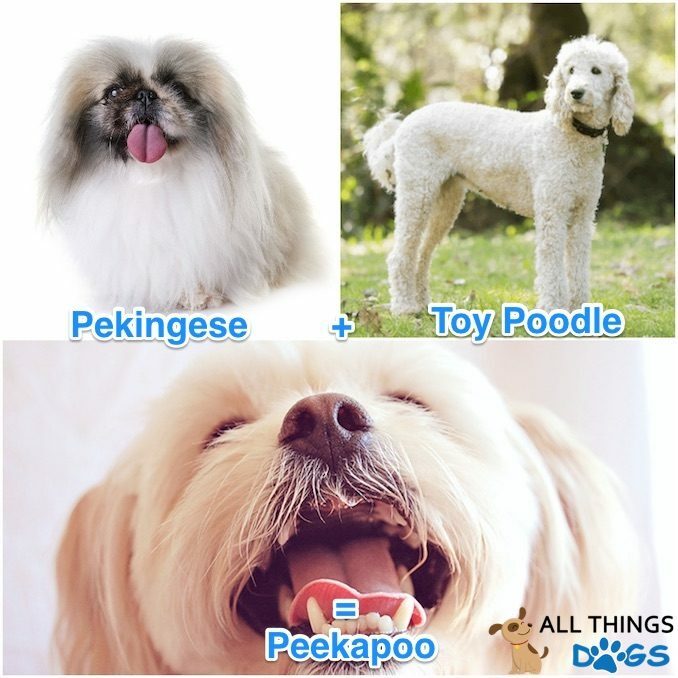 Bonus: Download our free Peekapoo dog eBook now which includes the ultimate care, training and grooming guide. As it is a designer cross-breed between a miniature or toy poodle and a pekingese, and not a purebred, it is not recognized by any Kennel Club. Like most designer cross breeds it is a registered breed with the American Canine Hybrid Club. Due to their designer status and poodle ancestry, for a puppy you can expect to pay anything from $275-$1450 and the litter size can vary from 2-6 puppies! 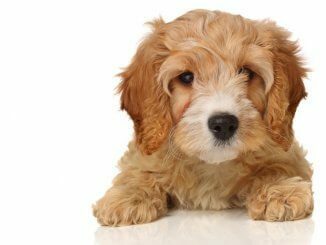 This crossbreed has actually been around far longer than most of the doodle breeds, originating around the 1950s and becoming popular in the 1960s. They were initially bred as a companion dog boasting a low shedding, hypoallergenic coat thanks to the mix with the poodle. To understand a little more about the breed, we’ll have a quick run down on it’s ancestors! The Pekingese and the Poodle! 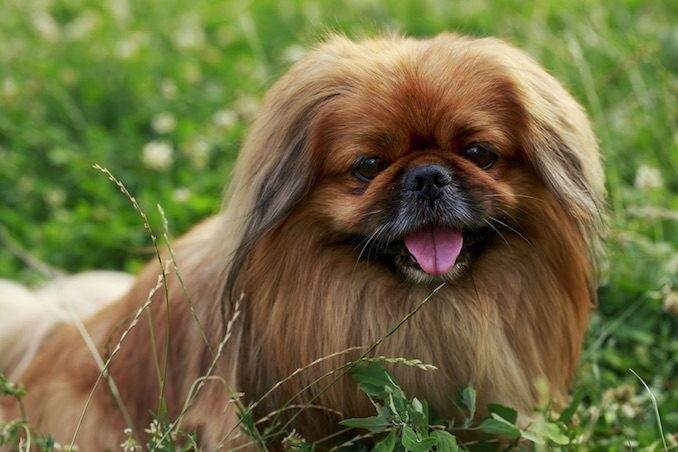 The Pekingese was one of the regal breeds created for the ancient rulers in China. It is mostly known for it’s lion mane like appearance! Often nicknamed “Pekes” they are renowned for being loyal lap dogs! These guys remember their origin in Chinese Royalty; they are incredibly stubborn and rather difficult to train. They also haven’t forgotten their guardian role and are renowned for being aloof with strangers and watchful over their home and owners. Due to their short muzzle, they are described as a bracychephalic breed. This means they are more prone to breathing difficulties and struggle to cope with extreme changes in temperature. They are one of the breeds at higher risk for heat stroke. They are happy curled up on an adult’s lap, but aren’t too keen on kids tugging and grabbing at them. For this reason, they would better suit an adult only home! You can expect a full size Pekingese to weigh in at no more that 14 pounds. In short, he’s a small, feisty, independent companion. Poodles are highly intelligent dogs! They are also incredibly popular as they are ranked 7 of 194 by the American Kennel Club table. The Poodle comes in three sizes, a toy, miniature and standard. A Peekapoo dog is as a result of mating a Pekingese with either a toy or a miniature poodle. They are liked for their hypoallergenic coat; it sheds minimally and because of it’s tight curls, dander is trapped in the curls. You’re more likely to keep a cleaner house with a coat like this, as long as you don’t mind those muddy paws! They are extremely active and love all types of exercise, swimming is top of their list! Not surprising with their fowl hunting origins! Poodles are incredibly people orientated which makes them highly trainable! Due to their high intelligence, high activity drive and their love of people, Poodles dislike being left alone and can be prone to separation anxiety. This can result in excessive barking and destruction. However, we know that the intention with cross breeding is to out breed the negative traits and continue the positive ones. This also includes building on genetic strengths and health removing health faults. Let’s have a look to see if the breeders were successfull! With their master, this dog is gentle and affectionate, they love nothing more than being by your side. However, that Pekingese guarding behavior has not been lost. He will be alert and watchful. They will let you know if anything is out of place, or if they’ve just heard the neighbor leave for work. They really aren’t too keen on strangers either, they are aloof with strangers and do like the sound of their own bark. They can be extremely aloof and independent when they want to be. As they were bred to be loyal companions, they won’t deal well with being away from you. Expect barking, crying and destruction if you do. Due to their small size, they aren’t generally suited to homes with bigger dogs and their distrusting demeanor doesn’t stand them in good stead making friends with smaller dogs either. Some do learn to live with other animals, if raised with them, however, most do not. They don’t tend to tolerate younger kids playing around them and, with the added risk of injury to their back through rough play, these guys are suited more to homes with older kids who have experience of dogs. They thrive in adult only homes. So you like the sound of this loyal little guy? Lets have a look at what it takes to look after him on a daily basis. The Pekapoo is a small designer cross-breed weighing between 8 to 20 pounds. We know he’s going to be a relatively small guy, from anywhere between 8 and 20 pounds in weight. Small dogs can use up to 40 balanced calories per pound of body weight per day. So if he weighs in at 20 pounds, expect to feed 800 calories per day. As a puppy, you would feed him based on his expected adult weight. We know it’s hard to predict this with a cross breed, so his parent’s size would be a good indication on how big he is likely to get! Puppy feeds can be split into 4 meals a day, until around 6 months old. You can then reduce this to two meals a day, usually breakfast and dinner. Keep an eye on his weight to ensure you are feeding him the correct amount. As we’ve said, it can be hard to predict the traits of a cross breed.. We know that some are quite stubborn when it comes to feeding, and we know some easily put on too much weight! Ensure you are feeding a good quality food and speak with your veterinarian if you have any concerns over his weight or feeding routine. Thanks to their poodle ancestors, the Peekapoo can be an energetic little guy. He will happily walk for up to 60 minutes a day when he has reached full maturity. When he’s a puppy however, remember to stick to the 5 minute rule. Walk him for 5 minutes per month of age. So if he’s 5 months old, only walk him for 25 minutes a day! This is to ensure he doesn’t over exercise and cause damage to his skeletal system. Remember he’s also defined as a Brachycephalic breed, which means he’s more prone to over-heating and heatstroke. Make sure you understand the symptoms. When you are exercising, ensure he doesn’t get too hot! We’ve mentioned they can be quite stubborn; they aren’t a fan of learning tricks, but if you happen to have a dog who is food orientated, you can use foraging or snuffle mats to keep him busy when you’re not out walking! Whilst considering their stubborn nature; let’s look at the best way to train them. When he behaves how you want him to, tell him he’s a good boy or give him his favorite treat! Establish a routine – take him out after each meal and at regular intervals throughout the day. Praise him when he does toilet outside, use verbal praise or food rewards! Ensure he toilets first thing in the morning and last thing at night – don’t just assume he has! Don’t punish – if he does toilet in the house, try to catch him in the act and move him outside. Wherever he has soiled, keep it clean! Dogs are more likely to repeat soil where their scent is! We know that training any dog is best achieved through positive reinforcement and rewards! Punishment can actually cause problematic behaviors as a fear response. He keeps jumping up at your leg? Turn away from him, withdrawing attention. Another trait is excessive barking, they love to hear their own bark. This is thanks to their Pekingese ancestors and their guarding role they played for their royal Chinese family. You can minimize this somewhat with early socialization. 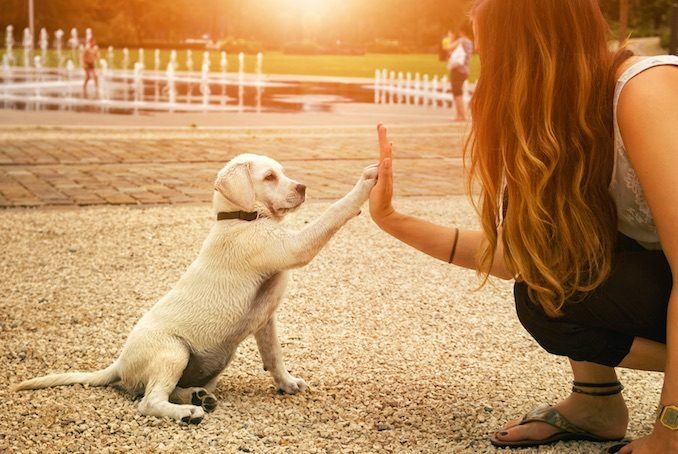 Introduce your puppy to different people from a young age, tall people, short people, children etc. Introduce them to the sounds of the house, all those noisy appliances! In a safe environment, introduce them to various animals, domestic and farm. Use this handy socialization checklist. The more they experience, the less wary they are likely to be. Their wavy coat will need regular grooming. It can be clipped every 8-10 weeks which reduces matting and knotting and relies on weekly brushing, or you can keep it long and wavy and brush it daily. The Peekapoo has a long wavy coat, if allowed to grow over a couple of months. 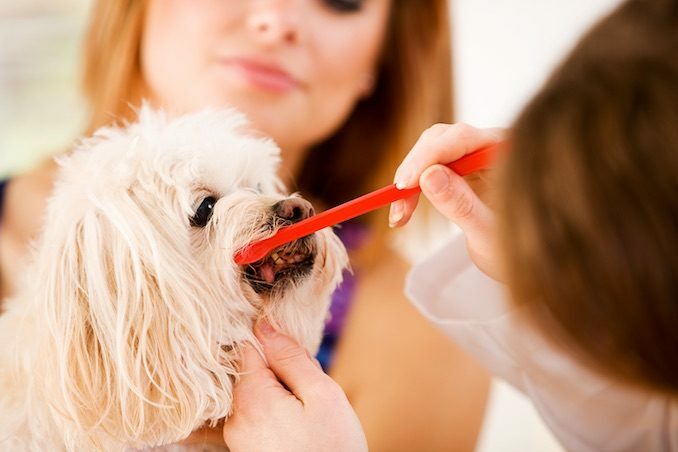 Most owners tend to have it clipped by a groomer every 8-10 weeks. In this instance, it will only require brushing every couple of days. If you want to let it grow, expect to brush it daily to prevent knots and matts forming. 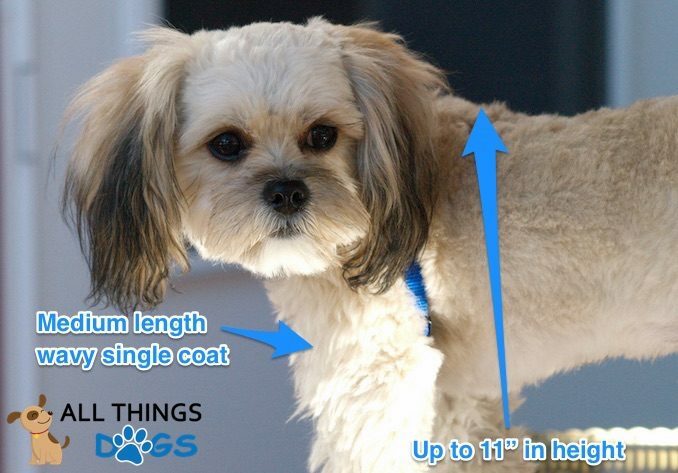 One of the main reasons they are so popular is due to their hypoallergenic coat. It sheds minimally and dander gets trapped in the hair which means it isn’t floating around your home! They are popular with allergy sufferers and those who like a relatively hair free house! You should regularly check his nails and get them trimmed by a groomer or veterinarian if necessary. Finally, wiping your dog’s eyes daily with a warm, wet cloth can help to stimulate tear production and will keep their eyes clean. Regular teeth brushing is also a must! They can come in a variety of colors including: silver, grey, white, red, cream, apricot, chocolate and black. Their coat can be solid in color but also have a range of different markings across the body. There is no defined standard; as it is a hybrid. Breeders can never be entirely sure of the appearance of the puppies. Most are clipped regularly, expect between 8-10 weeks per groom. For owners who have the time to brush their pooch daily, you can keep their coat a little longer! When they’re not clipped, these feisty pooches would be deemed very high maintenance on the grooming front! As with most designer cross breeds, there isn’t a defined grooming style yet for these adorable pups! Most groomers will take their body short but keep a round face. Some owners like to keep their ears short so they’re not collecting food and water! Others prefer them a little longer. Speak with your groomer to figure out a schedule and style that fits in with your lifestyle! So we’ve got a good idea of what these little guys need on a daily basis. Let’s take a look at their health in general and some of their known health problems. 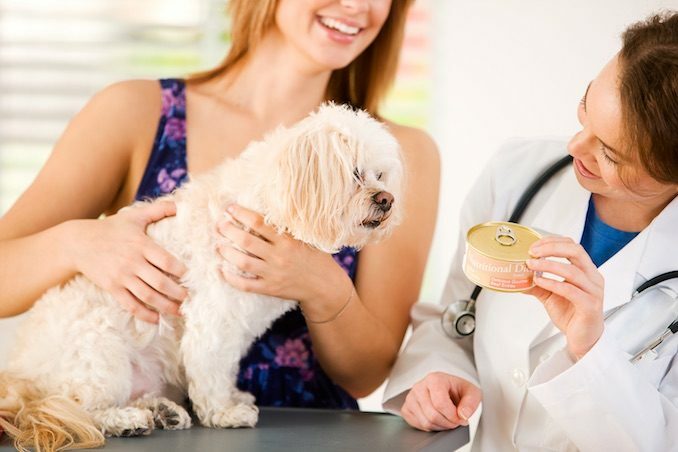 As the Pekingese and Poodle purebreds have been around for hundreds of years, we have a good understanding of the health problems that affect them. Unfortunately, some of these health problems are still prevalent. Brachycephalic airway syndrome. This is when a dog has abnormalities in their upper airways. The abnormalities include: stenotic nares, an elongated soft palate and a hypoplastic trachea. A dog can have any or all of these abnormalities. Dogs suffering with this syndrome tend to have heavier breathing than normal, they cough and gag. Ultimately the breathing difficulties put undue pressure on the cardiovascular system. Collapsing trachea, the Peekapoo can thank its poodle ancestors for this health issue. This is a progressive, irreversible disease of the trachea. The trachea keeps the airways open when the dog is breathing. 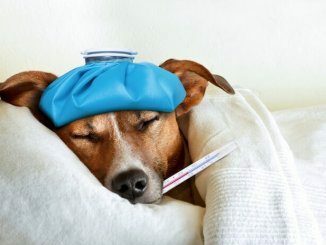 Dogs will present with coughing, difficulty breathing, exercise intolerance and wheezing. This can often be treated with lifelong medication. We know that tooth overcrowding is a risk in toy and designer breeds. We can thank the poodle parent for this one too. 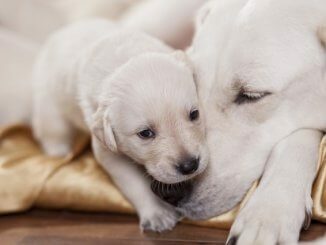 Tooth overcrowding is when a puppy doesn’t lose all of their milk teeth and their adult teeth still grow. When there are too many teeth, they rub against each other, wearing the enamel down. This increases the risk of periodontal disease. Keratoconjunctivitis sicca (also known as “dry eye”), is when there is an impaired ability to produce tear film. Dogs who have dry eye will present with red, irritated eyes. They will blink often and sometimes hold their eyes shut.It is usually effectively treated with medication. Patella luxation. This occurs when the patella (kneecap) slips out of it’s normal position, this can result in lameness, pain and instability. Progressive retinal atrophy, this is an inherited condition which can result in blindness. Symptoms include; worsening sight, cataracts, inflammation in the eye and glaucoma. von Willebrand’s disease, this is an inherited bleeding disorder which is common in poodles. It is caused by a deficiency in a clotting protein which results in prolonged or inappropriate bleeding. As there is no cure for this, it is suggested that all breeds at risk of VWD should be tested. Affected and carrier dogs should not be bred from. This adorable lap dog is perfect in a family with older children or an adult only home. He is gentle and affectionate and will be your faithful guardian. He is alert and energetic, he will definitely keep you on your toes. Not the easiest to train, housebreaking and barking can be problematic. This stubborn guy will respond best to a structured routine, early socialization, positive reinforcement and rewards. His cute teddy bear appearance, despite being hypoallergenic, does require attention, whether you decide to get him clipped regularly at the groomers or spend the time at home brushing him. As much as he has inherited the low shedding coat and intelligence from the poodle, he has also inherited some of their health concerns. He still hasn’t forgotten he descended from Chinese royalty; he’s a loyal protector at heart. Let us know what you think in the comments below. Great information . Informative and very accurate from what I have experienced with my 6 month old puppy. Looking for a pekapoo breeder in NJ…sadly I lost my pekapoo Tink in November after 14 wonderful years. Looking to get another one to love! I’ve posted your comment in hope of someone being able to recommend a breeder in NJ for you. Best of luck!